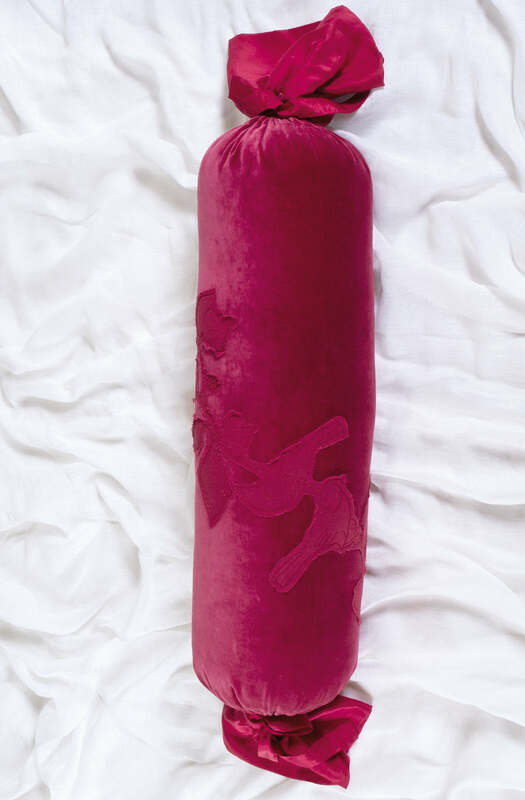 A gorgeous, large round bolster cushion in plush cotton velvet with soft silk ties and edging. Adorned with an appliqued design of charming, plump sparrows perched on leafy branches in cotton georgette which is outline embroidered and finished with intricate french knot berry clusters. Available in petal, green, charcoal and fuschia.